I met Jessica McCann through WFW and through Twitter – and I’m thrilled to have her here today. 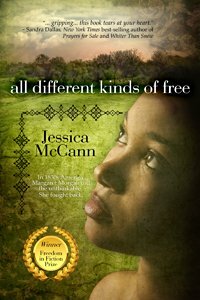 Jessica’s novel, All Different Kinds of Free, intrigued me because it’s based on fact, but not a true story. Oh, the literary webs we weave! 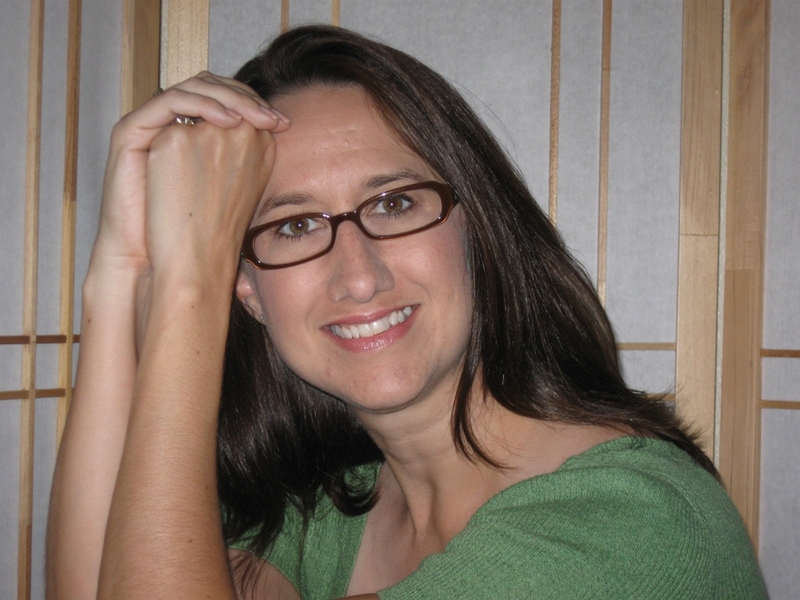 Please welcome Jessica McCann to Women’s Fiction Writers! ASN: ALL DIFFERENT KINDS OF FREE is a historical novel based on real-life events. We talk often on WFW about the line between fact and fiction. Can you expound on how you developed the idea for your novel — and how much of it is factual as opposed to fictional (and are you tired of that question yet)? JM: I actually love this question, because I love how my novel came to life. In many ways, it parallels how my writing career came to life. I started out in journalism. My training and opinions regarding fact and fiction in writing were pretty much black and white for the first decade or so. As I got a bit more life experience under my belt (as I ventured into public relations, communications, marketing and, finally, fiction writing), I began to understand just how fuzzy the line between fact and fiction truly is in all writing. Frankly, some works of fiction contain more “truth” than similar works of nonfiction or journalism. All Different Kinds of Free started off as a biography of Margaret Morgan, a free woman of color in 1830s America. A bounty hunter from the South had kidnapped Margaret and her children, alleging that they were escaped slaves. He had no proof of ownership and was convicted of the crime in the free state of Pennsylvania. The case was appealed all the way to the U.S. Supreme Court, and the controversial verdict became an early spark igniting the Civil War. My curiosity was piqued because the official record only mentioned Margaret briefly. That struck me as so odd, since the whole ordeal began with her kidnapping. I wanted to know how her story ended. So I dug around a bit. But the more I looked, the less I found — some obscure footnotes in law journals, conflicting news accounts from the time. It really bothered me that her part of the story was little more than a footnote in history. When I realized I didn’t have enough facts to write a biography, I was devastated and grudgingly packed away my research. Then my mother-in-law loaned me a book, a fictional biography about George Washington, by Mary Higgins Clark. It was a fun read, and it gave me the idea that a fictional biography might be the only way I could tell Margaret’s story and really do it justice. So tons of secondary research went into the book. I devoured reference books, diaries, slave testimonials, newspaper archives — anything I could get my hands on to help me better understand what the average person experienced on any given day in that era. That research provided the factual framework of the novel, and I filled in the blanks based on what my mind, my heart and my gut were telling me as each scene unfolded. What really happed to Margaret Morgan? The fact is, no one knows. What I do know is that she suffered a great injustice. And it was a similar injustice suffered by thousands of other women just like her — wives, mothers, daughters — during that dark period in our nation’s history. That is a fact; and that is the truth that propelled the fictional story I ultimately wrote. ASN: What is your definition of women’s fiction? JM: I have a hard time defining women’s fiction, because so many of the books I read seem to fit into multiple literary categories. I gravitate to historicals, which I enjoy for the escape to a different place and time. Yet many could easily be dubbed women’s fiction, as well, because they possess strong female characters, emotional struggles and character-driven plots. I suppose if the subject matter of a book strikes a chord for me on a deep personal level as a woman, then I consider it be women’s fiction, regardless of its genre subsets. A few strong examples of this cross-over include THE INVISIBLE MOUNTAIN by Carolina De Robertis, ALICE I HAVE BEEN by Melanie Benjamin, and THE PERSONAL HISTORY OF RACHEL DUPREE by Ann Weisgarber (all highly recommended). ASN: What is your best advice to aspiring authors of women’s fiction specifically — and/or — any fiction? JM: Ask yourself why you are “aspiring.” That may sound flip, but it’s a different answer for everyone. Is it because you haven‘t yet finished your novel? Have you completed a novel (or two or three), but you worry the work isn’t good enough to share? Do you think your writing is stellar, but you don’t know how to break in? These are tough questions all writers must ask themselves if they truly want to be published. Once you know the current hurdle you face — whether it’s some lack of knowledge or just a plain old fear of rejection — then you can put together a plan for getting over it. There will always be another hurdle down the road, of course (and another, and another), even after you’ve been published. And fear. And rejection. Lots of it. But if you keep asking yourself the tough questions and pushing yourself, you’ll get better and better at mowing down those hurdles. Jessica McCann, a professional freelance writer and novelist, lives with her family in Phoenix, Arizona. Her nonfiction work has been published in Business Week, The Writer and Phoenix magazines, among others. All Different Kinds of Free (Bell Bridge Books, April 2011) is her award-winning debut novel. She welcomes interaction with readers and writers at her website (www.jessicamccann.com) and on Twitter (@JMcCannWriter). For more information about McCann’s debut novel, visit the official website and Facebook page. awesome interview and i was thrilled to see am author in phoenix as i am in scottsdale! Thanks, Stephanie. Always fun to meet other Phoenix-area locals! I just followed you on Twitter. Great interview, and the book sounds wonderful! I appreciate that, Liz. Thanks for stopping by and commenting. The book IS wonderful, and I’m so happy to see Jessica here. I love your advice about straddling those hurdles as they come. You must feel particularly proud that you were finally able to give Margaret a voice, when it appears no one else did during her difficult life. And a fine job you did of it. I agree with your definition of women’s fiction and appreciate the list of cross-over-genre picks. SO helpful. I will have to give all of those books a try. Thanks, Amy, for inviting Jessica. You’re the best, Melissa. Thanks for the kind words. And do take a look at those books recommendations. I think you would love them! Thanks, Amy as always, for this wonderful interview! What great advice! I learned of this book a short time ago. For the last three years, I’ve been deeply involved in my family’s genealogy — especially in finding my ancestors who were slaves. I had a chance to read this book recently and it was wonderful! I highly recommend it, and I do hope Ms. McCann will write more historical fiction in the future. Thanks for reading my book, Carolyn. I’m so happy you enjoyed it and appreciate the kind words. I’m deep in research on my second novel right now. Have you found anything interesting in your family’s history? I have a cousin who traced the McCanns all the way back to someone who served in the American Revolutionary War. It’s amazing what you can find. That sounds wonderful, Jessica. Can’t wait to read the next book! Wow! All the way back to the American Revolutionary War! That is exciting! So far most of the information found has confirmed the oral history our family has always known. However, there was one piece of information that was new to everyone. My maternal grandmother and maternal grandfather each had a grandfather who fought in the Civil War near Vicksburg as Union soldiers. One was a black slave from Mississippi and other an immigrant from Germany. Both with very compelling family stories. What are the odds that they would be fighting only miles from each other, in different platoons, never meeting and their grandchildren would end up marrying each other? I was shocked out of my shoes! The best part of all of this has been in meeting so many new relatives. Great interview and I appreciate the introspective questions. This is next on my to-read list and can’t wait to see what you envisioned for Margaret. I’d also like to send several copies straight to the Supreme Court and let them stew on it for awhile. GEEZ. (Where’s my soapbox?) I’m so glad you didn’t give up, Jessica. And great hosting, Amy!! Thanks. Jessica’s book is a book that lingered in my thoughts long after I finished reading it. It haunted me with the great sorrow and injustice that exists even today. The book paints a vivid picture of human character, a picture of the good, the bad and the very ugly. But it is not a depressing book at all, it resounded with an undefeated spirit found in the main characters. It is my favorite read for the year. I can’t wait to see what Jessica does next because I’m already standing in line for it. Great interview- wonderful encouragement for those of us who have a story we want to write. Thanks for your amazing comments about my book, Barbara. It means the world to me that you were so moved by Margaret’s story. I truly want to get published so it’s very helpful to get your take on the tough questions I need to ask myself in order to help that to happen — thank you! Great interview! You’re welcome, Julia. So happy you found my thoughts helpful. Just keep challenging yourself and I know you’ll be successful. Wonderful interview, wonderful book! I love how the few details we know about Margaret turned into such an intimate story. Thanks, Sara, you’re the best! Oh, the tangled literary webs we weave, indeed! How hard that must’ve been to try to remain true to Margaret’s story without knowing how it truly ended, Jessica; but I am sure that you have done both the story and her justice. Thanks for the vote of confidence, Jolina. And thanks for stopping by!